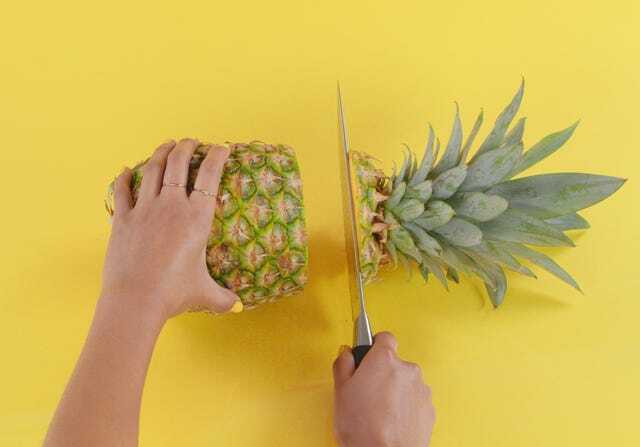 You've Been Cutting Pineapples Wrong! 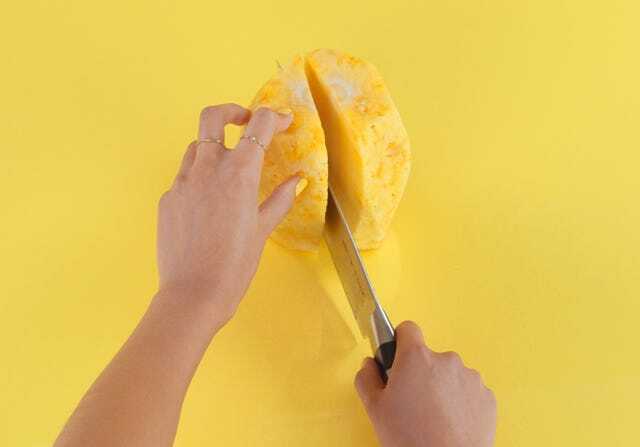 Master cutting a pineapple in only a few steps. 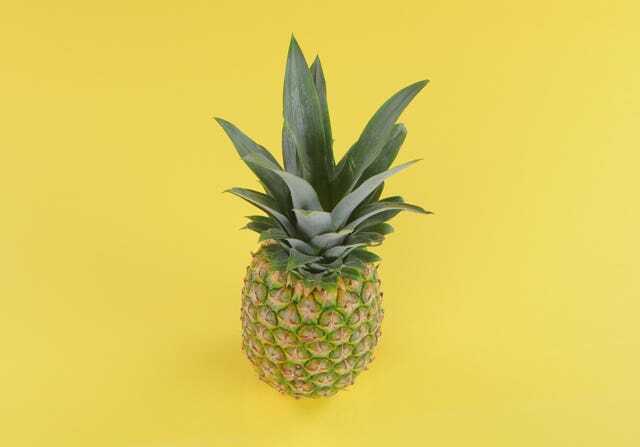 How in the entire world do people take this spindly, piney, aggressively textured piece of plant life and carve it into the fruit-salad star that it is? This delicious tropical treat comes practically encased in full-body armor. The good news is, the golden splendor inside is just a few quick slices away. 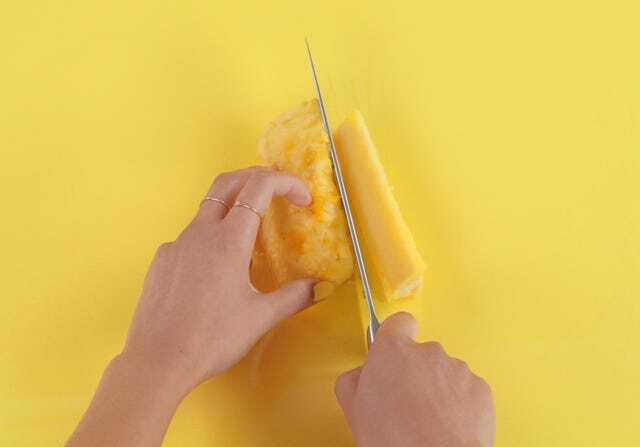 Once you've mastered the process illustrated in this video (and in step-by-step form, below) you'll be free to sup on pineapple in fruit salads, upside-down cakes, grilled on skewers, or just as is. No more less-than-fresh pre-cut cubes for you. Stay tuned for the next chopping tutorial: watermelon. 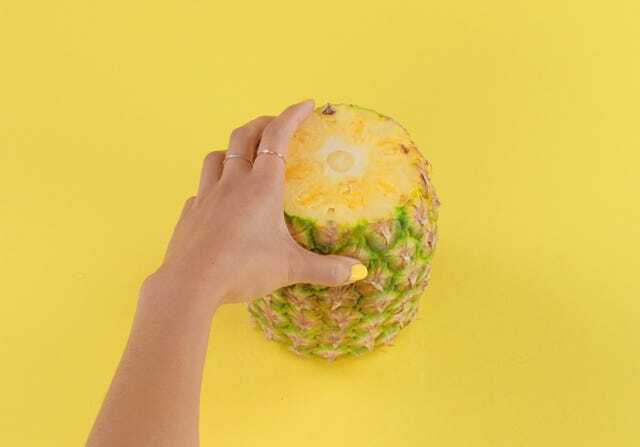 Step 1: Buy a pineapple. 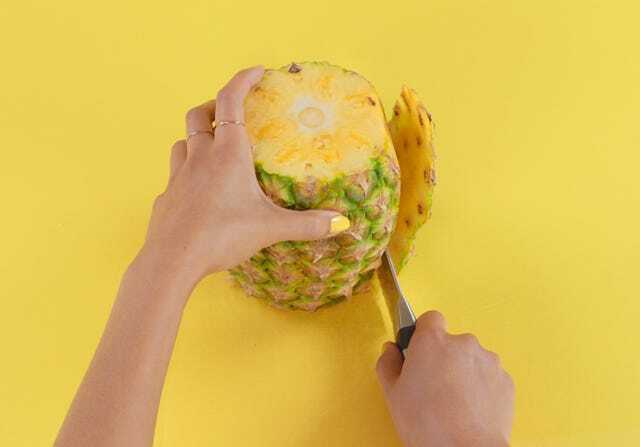 Step 2: Using a large chef's knife or serrated knife, cut off the top and bottom of the pineapple so that both ends are flat. Step 3: Stand the pineapple upright. Step 4: Cut the skin off in vertical slices following the curve of the fruit. Repeat to remove any of the small brown divots. Step 5: Cut the pineapple in four quarters lengthwise. Step 6: Cut out the tough core from each piece. Step 7: Cut the quarters into slices or cubes. We bring you all the food hacks that will make your next dinner party, feast for one, or last-minute breakfast scramble a success.